AB Injury Law is one of the leading law firms in Trenton and has a team of lawyers that have represented injury victims from all over the province of Ontario. If you or a loved one has been a victim of negligence or carelessness of another individual or company and has received mild to severe injuries, call us today. 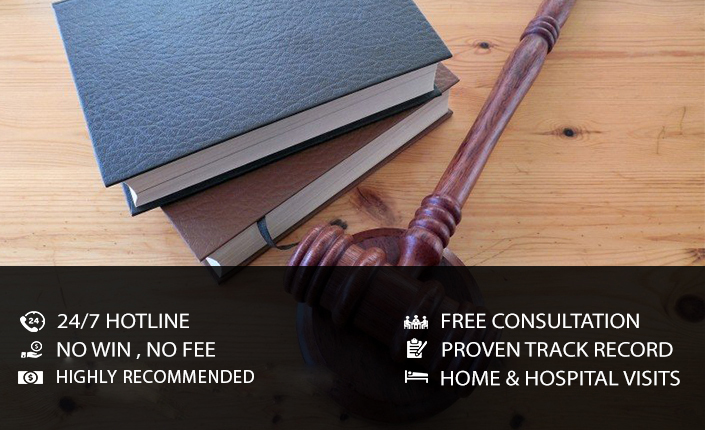 We’ll be able to assist you file for compensation and get justice. With over two decades of experience in tort law, we understand all aspects of Canadian jurisprudence pertaining to it. Our experienced and skilled personal injury lawyer in Trenton at AB Injury Law has been representing the victims of personal injury that encompasses both physical injuries and mental traumas for over two decades. We work towards safeguarding their rights and ensuring that they are compensated for the loss of wages and other damages incurred due to the accident. Our injury lawyers in Trenton have won millions of dollars as claim settlements from insurance companies. The respect and appreciation that we receive from our clients is what really drives us on to continue helping victims of injury. All the injury lawyer in Trenton are members of the community and take personal interest in each case that they represent because they are helping people get justice and financial remedy that they deserve. With extensive experience at trials and out of court negotiations has allowed us to help clients in every scenario. It is true that most of the personal injury cases are resolved out of court and if that is the case, we have excellent negotiating skills. And if the case needs to go on trial, our personal injury lawyers in Trenton are well-known for drafting fool-proof cases and have extensive experience at nearly all levels of the Canadian courts. We are not intimidated by aggressive lawyers of the defendants but allow us to level the playing field. We have never backed down from a trial or settled for a low amount just to avoid a court battle, and we never will because your interest is paramount. Our success lies in your winning the compensation that you truly deserve. For the clients, getting back to normal life can be a challenge, as it may include medical treatment, caregiving services, rehabilitation or even long-term medical treatment for debilitating injuries. This can create immense financial pressure leading to stress, which can lead to loss of wages, medical costs and other future rehab and treatment which requires assistance. Contact us today and let the legal expertise of AB Injury Law assist you through your recovery. We’ll be glad to be of assistance. Our hotline is available 24/7 and our response is within one business day to all emails, call and faxes.